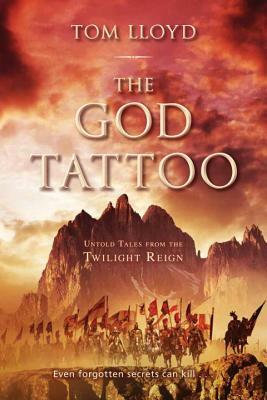 A short story collection fleshing out the world of the critically-acclaimed Twilight Reign series, a tremendous work of mature epic fantasy. The history of the Land may remember the slaughter at Moorview or the horror of Scree's fall, but there were other casualties of the secret war against Azaer--more tales surrounding those bloody years that went unrecorded. In the shadow of memorials to the glorious dead, these ghosts lie quiet and forgotten by all but a few. A companion collection to the Twilight Reign quintet, these eleven stories shine a rather different light on the Land. Look past the armies and politics of the Seven Tribes and you will find smaller moments that shaped the course of history in their own way. But even forgotten secrets can kill. Even shadows can have claws. Tom Lloyd (Oxford, United Kingdom) is the author of five other novels in the Twilight Reign series: The Stormcaller (Book One), The Twilight Herald (Book Two), The Grave Thief (Book Three), The Ragged Man (Book Four), and The Dusk Watchman (Book Five). He was born in 1979 and spent most of his childhood believing his mother was a witch--a white witch. He followed his degree in politics and international relations with a series of jobs in publishing, and currently works for an independent publisher in London. "Every fan of Steven Erikson should be reading Tom Lloyd's The Twilight Reign." "[A] series that defines what good fantasy is all about." "Powerful storytelling complements a large cast of characters and a complex narrative that touches on everything from romance to high drama to fast-paced war scenes."